When she emigrated from Japan, Chiaki O’Brien brought her skills in Saori weaving with her to Minnesota. Since 2004 she has shared this unique form of weaving with hundreds of people, which has allowed her to create many connections in her new home. Her love of Saori is rooted in its simplicity. Saori is something anyone can do, as there are no mistakes. 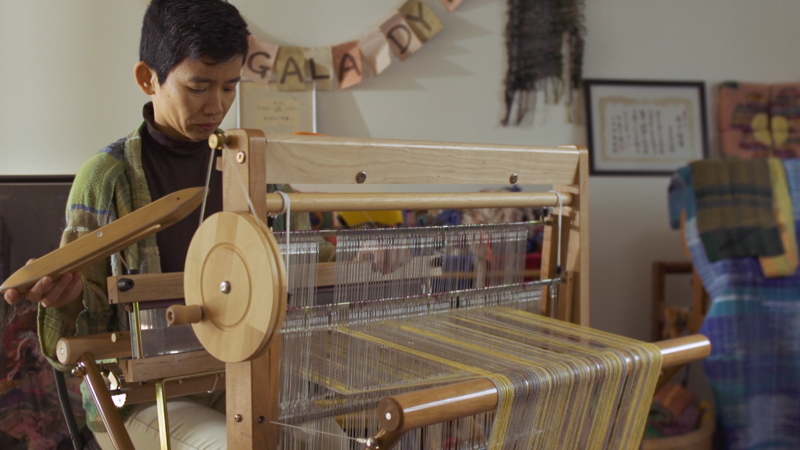 A Japanese immigrant, Chiaki O’Brien brought her knowledge of Saori weaving to Minnesota.